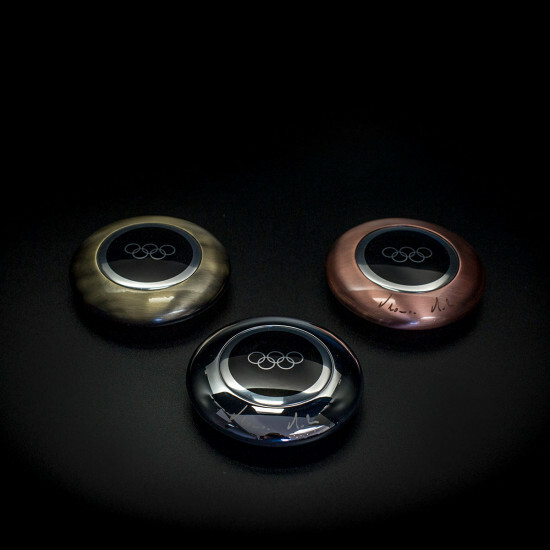 We have enjoyed a close relationship with the IOC since London 2012, creating trophy concepts that express the activity of the Olympic movement. Their motto is ‘Faster, Higher, Stronger’. 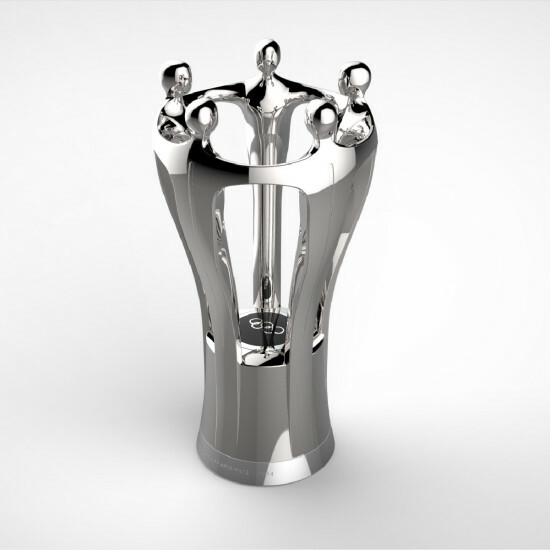 The ‘Friendship Trophy’ design neatly captures the themes of collaboration and fair play and expresses the union of five continents through the meeting of athletes from around the world. The embracing figures are gathered shoulder to shoulder around the Olympic Rings at their feet. Standing 200mm high, it was important that the figures should look elegant, athletic but gender neutral. The trophy was conceived as a bronze casting finished in antique bronze, silver and gold plate. Personalisation of each trophy could be achieved by laser engraving around the trophy base. Thomas Bach, the new incoming president of the IOC, took over from the out-going Jacque Rogue in 2014. To recognise his appointment we were commissioned to design a new trophy suitable for gifting to heads of state and ambassadors of sport. 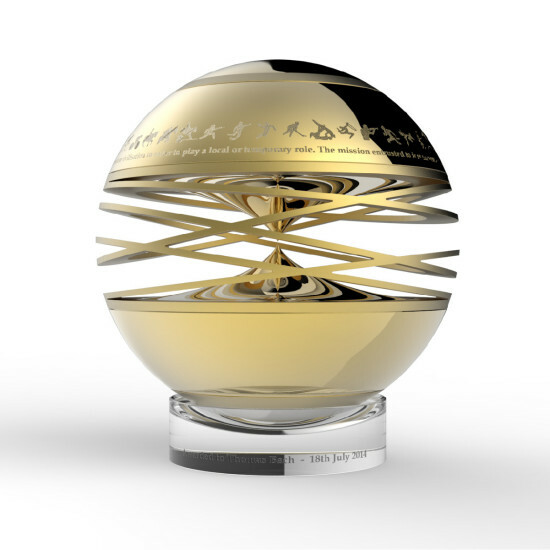 The ‘Global Games Trophy’ concept we proposed featured an elegant golden globe with the five Olympic Rings ‘spinning’ at the equator with molten cones coming together at the core. A freeze depicting all the Olympic sports along with the Olympic mission statement is laser engraved around the hemisphere. 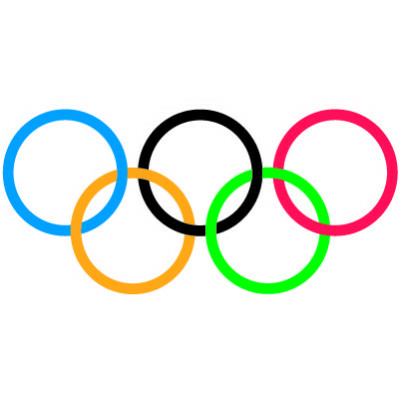 The design represents the global nature of the Games in a state of dynamic energy and change.